In the New Smyrna Beach area, there are lots of shops, restaurants, and hotels that boast pet/dog-friendly venues. Including the dog-friendly shop Silly Willie's, a favorite local pet supply store that sells pet supplies and accessories. This area is one of the more dog-friendly beach and areas locally, with several dog parks, dog beaches, and many amenities to make the experience more accessible and comfortable. However, the parks do have admission fees, and the drive is about an hour from Orlando. If you choose to go out there for more than one day, there are many hotel choices in New Smyrna Beach, Port Orange or even Daytona Beach. Start the day early and make the most of the entire day, the drive out and the experiences are worthwhile, even for a one day trip. Need a day outdoors with the dogs? There are dog-friendly beaches on some of the more built up northern beaches in New Smyrna Beach near Daytona. About 54 miles from Orlando, approximately an hour’s drive up I-4 E and FL-44 E is Smyrna Dunes Park where dogs are welcome to join in the fun. 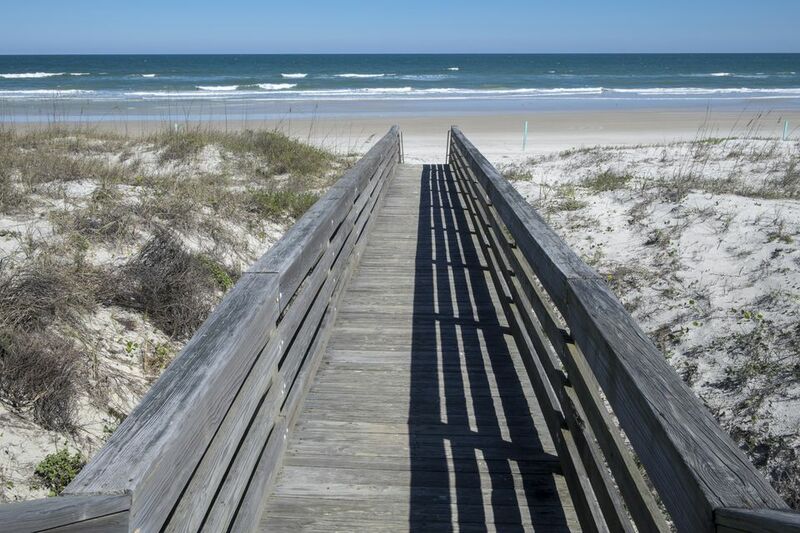 Volusia County's beach is wide and spacious with over 500 feet of sandy beach at low tide. You'll find the dog beach on the northern tip of the New Smyrna Beach peninsula on 73 untouched acres. As a bonus, many amenities are available, including bathrooms, showers and abundant parking. In the area that is accessible to leashed dogs, there are over 2 miles of boardwalk with views of the Indian River, Ponce Inlet and the Atlantic Ocean and the Lighthouse. The park contains areas for picnic tables, fishing and swimming, and guided nature walks. Smyrna Dunes Park is a great beach and park for a day of outdoor fun with your dog. Admission to the park is $10 per vehicle of eight passengers, or less and yearly passes can be purchased. There is a leash law for both the park and beach that is reinforced with a fine. Smyrna Dunes Park is one of many local dog-friendly areas near New Smyrna Beach and Orlando. If the lighthouse is intriguing and you would like a closer view, dogs can also be taken into the Lighthouse Point Park. Admission to this park is $10 per vehicle. The park is a 52 acres area on the north side of Ponce DeLeon Inlet. At the park, you will find fishing, nature trails, an observation deck, swimming and picnicking. Here dogs can hike and visit the beach. The beach here receives mixed reviews because of the more rocky and rough terrain. Showers, dog showers, bathrooms, and parking are provided. A bit further away is the Seamore Memorial Dog Park. This is an excellent park for letting your dog run and play without a leash. This dog park is near Lighthouse Point Park but does not have a beach area.